A set of factors may be associated with dysfunctional low back pain in patients with rheumatoid arthritis. There may be substantial disparity between diagnoses of fibromyalgia based on criteria vs International Classification of Disease standards. In patients with rheumatoid arthritis treated with anti-inflammatory medications, long-term persistent pain was found to be common and may be predicted by higher levels of disability and a history of smoking. Participation in a long-term health-enhancing physical activity support program was associated with reduced global pain. Rheuatology Advisor speaks with a psychologist about addressing mental health in patients with inflammatory arthritis. In patients with rheumatoid arthritis or osteoarthritis who are at higher risk for cardiovascular events, celecoxib may be safer compared with naproxen or ibuprofen when these drugs are taken alone or in combination with aspirin. John M. Davis III, MD, MS, from the Mayo Clinic in Rochester, Minnesota, and Jennifer Gorman, MD, MPH, from The Polyclinic in Seattle, Washington, discuss the evolving collaborative care therapy model in RA. The randomized, double-blind, controlled trial (N=24,081) included patients with rheumatoid arthritis or osteoarthritis who required chronic NSAID treatment. 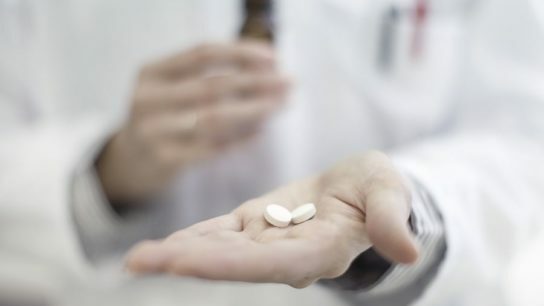 The results of 2 randomized controlled trials showed that filgotinib improved quality of life when given in combination with methotrexate or as monotherapy in rheumatoid arthritis. Fibromyalgia, osteoarthritis, sciatic syndrome, rheumatoid arthritis, and moderate depression may be more prevalent in working-age individuals with vs without migraine.